President Trump formally pardoned Joe Arpaio on Friday August 25, 2017, wielding the presidential power of mercy to absolve the former Arizona sheriff for defying a federal court order. This is a big deal! What do you think? And what can you do about it? It’s your time to take part in this discussion by acting on your informed knowledge! Does the President have the Constitutional power to pardon Joe Arpaio and should he have pardoned him? A little information goes a long way! 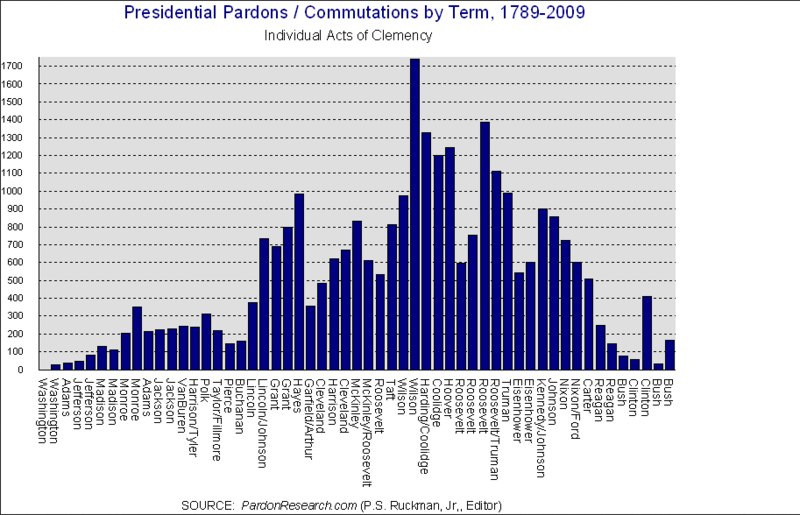 Now let's get a little bit of context and learn a little bit more about presidential pardons. These next two images are really interesting. They are the first batch of pardons from President George W. Bush (top) and President Barack H. Obama (bottom). Notice the dates of both pardons - at the end of each president's second year in office. And here's a couple of helpful answers to questions about presidential pardons. Thanks internet! Are There Different Types of Pardons? When a person is convicted of a felony, he loses various civil liberties — the right to vote, serve on a jury, or own a firearm. A full pardon restores all these rights. It’s as if the crime never took place. In a conditional pardon, a president may issue a pardon in exchange for something in return. For example, President Richard Nixon gave Jimmy Hoffa a conditional pardon in exchange for Hoffa’s pledge to never again take part in labor organization. A president can also grant a remission releasing a person from a legal obligation. 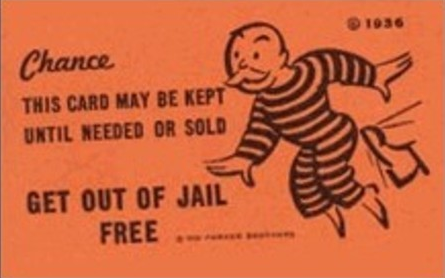 This applies only to fines levied against an individual as the result of a federal case. A commutation shortens or abolishes the sentence, but leaves intact the civil disability. Commutations had been fairly rare until the Obama administration. A respite is a short-term action — lasting only a month or two — and allows the president to delay a sentence or execution. Usually, the purpose of a respite is to buy time to allow further consideration of a pardon petition. Can Presidential Pardons Be Undone? The president isn’t required to explain or justify a pardon to anyone. The power to pardon cannot be reviewed or overturned by any of the other branches of government. There is basically no way to block a presidential pardon. Ambition may not counteract Ambition! While pardons cannot be undone, the threat of impeachment might deter a president. What Stops A President from Just Pardoning All His Cronies? 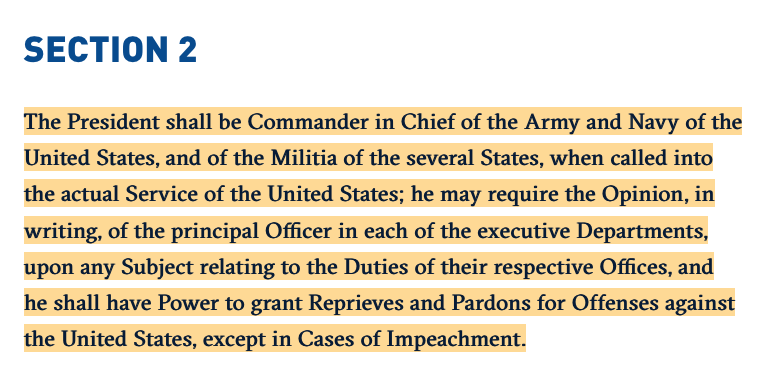 Congress has a particular incentive to curb the President’s power of pardon when it is investigating the President or his administration. Although a president can grant pardons to members of his Administration who refuse to testify before Congress, the Supreme Court has held that Congress’s power to hold its witnesses in contempt lies outside the president’s pardoning power. This means that witnesses hauled before Congress can be jailed in contempt for refusing to testify, and cannot be rescued by a presidential pardon. Or, prosecutors can wait until a president is out of office and then prosecute his cronies. The Supreme Court actually ruled on this matter in the 1866 case of Ex parte Garland. That decision concerned a law Congress passed disbarring former members of the Confederate government, which was challenged by former Confederate Sen. August Hill Garland. President Andrew Johnson had pardoned Garland, and Garland argued that this shielded him from disbarment under the law. The Supreme Court agreed, and in doing so clarified that the pardon power is basically unlimited and can be applied to any crime, whether the pardoned person has been charged or not. HOW DOES THE PARDON PROCESS USUALLY WORK? Someone who has been convicted of a federal crime and wants to be pardoned makes a request for a pardon to the Justice Department’s Office of the Pardon Attorney, which assists the president in exercising his pardon power. Department rules tell pardon seekers to wait at least five years after their conviction or their release from prison, whichever is later, before filing a pardon application. It’s then up to the pardon office to make a recommendation about whether a pardon is warranted. The office looks at such factors as how the person has acted following their conviction, the seriousness of the offense and the extent to which the person has accepted responsibility for their crime. Prosecutors in the office that handled the case are asked to weigh in. The pardon office’s report and recommendation gets forwarded to the deputy attorney general, who adds his or her recommendation. That information is then forwarded to the White House for a decision. WHAT MAKES ARPAIO’S PARDON UNUSUAL? Arpaio didn’t submit a pardon application through the Office of the Pardon Attorney. His pardoning also took place before he was sentenced. Arpaio was convicted July 31 of misdemeanor contempt of court for intentionally defying a 2011 court order to stop traffic patrols that targeted immigrants. He had been set to be sentenced Oct. 5 and faced up to six months in jail. The fact that Arpaio was pardoned for a misdemeanor offense, which carries a penalty of less than a year in jail, is also unusual. Generally those seeking presidential pardon have been convicted of felonies. What did Arpaio do anyway? Arpaio, who left office in January, ranks among the most controversial law-enforcement officials in American history. Phoenix-area voters elected him six times to lead the Maricopa County Sheriff’s Department, which he governed as a proto-Trumpian figure for almost a quarter-century. Arpaio’s harsh treatment of undocumented immigrants and criminal suspects brought him the adoration of Fox News viewers and multiple civil-rights lawsuits. He claimed former President Barack Obama’s birth certificate was a forgery even after Trump himself had publicly abandoned that stance. And he shared Trump’s disdain for the federal judiciary, frequently castigating the judges who oversaw lawsuits against him. His extreme treatment of prisoners and detainees drew widespread condemnation and allegations of racial bias. A 2011 Justice Department report concluded that Arpaio engaged in “unconstitutional policing” by systematically targeting Latinos for racial profiling. That same year, in response to a lawsuit, a federal judge ordered Arpaio to stop detaining and harassing residents of largely Latino neighborhoods. He ignored the order and continued to perform sweeps, claiming they were lawful. The judge charged him with civil contempt in 2015 and criminal contempt, a misdemeanor offense, the following year. A federal court found him guilty in July. Trump’s pardon comes before that legal process against Arpaio had finished: His sentencing hearing was scheduled for October, where he faced a maximum of six months behind bars. How does the timing of this pardon compare to Presidents W. Bush and Obama? The pardon is Trump’s first since taking office, breaking a barrier relatively early in his tenure. Almost two years passed before Barack Obama issued nine pardons to people convicted of relatively minor offenses; George W. Bush waited only a few days longer into his first term to erase convictions for selling moonshine and stealing $11. But Trump eschewed his predecessors’ modest lead, instead wiping clean a guilty verdict for criminal contempt of court for one of his staunchest political supporters after only eight months in office. Now I'd like you to organize your thoughts by answering the following questions before anyone else is pardoned. Who does the U.S. Constitution (above) give the president the power to pardon? Why did President Trump pardon Joe Arpaio? What groups of people or institutions did this pardon upset? Who groups of people or institutions did this pardon please? Why didn’t President Trump take this pardon through the normal pardon process and through the Department of Justice Department of pardon? This was President Trump’s first pardon, 7 months into his presidency. How does the timing of this pardon compare to former presidents? What are two consequences of this pardon? Overall, do you think that the pardon of Joe Arpaio was a good thing? As you think about the following actual and hypothetical people, consider how each individual would probably feel about the pardon of Joe Arpaio. To convey their feelings, list one adjective or mark a frowny (anti-pardon) or happy (pro) face next to each person. Now let's actually do something about all this stuff we know. Hey, teachers! This would be a great time for a fishbowl about Trump's pardon of Joe Arpaio. Now, let's take all that knowledge and our fishbowl discussion and write an argumentation essay: should President Trump have pardoned Joe Arpaio. Now let's take an informed civic action. 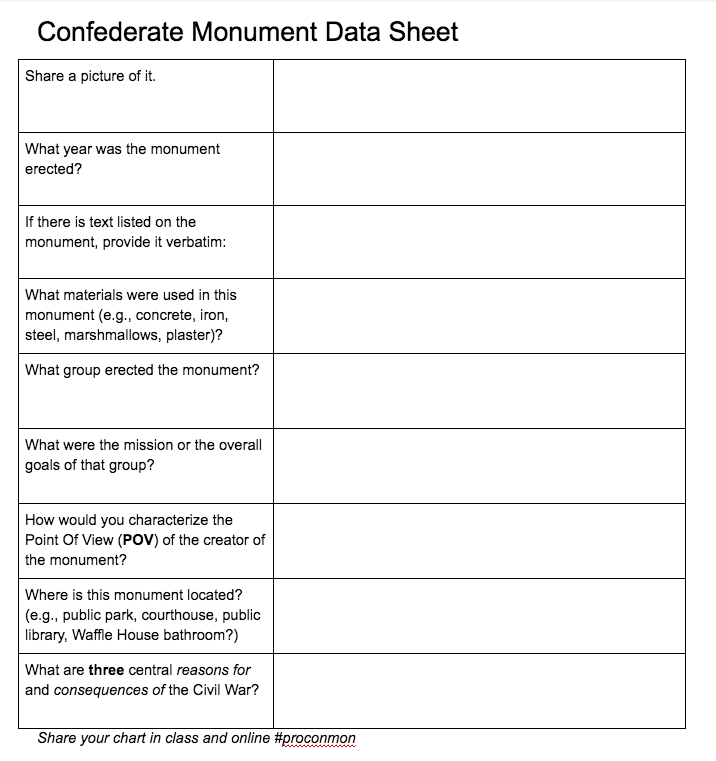 Here's a whole list of civic actions you can take about this topic. Fourth prez-dent of the US-A! James Madison was the man! Almost 200 years after his death he still has a web site, a think tank, and a university (JMU)! Madison stood at 5’4”, weighed 100 lbs, and had a B.M.I. 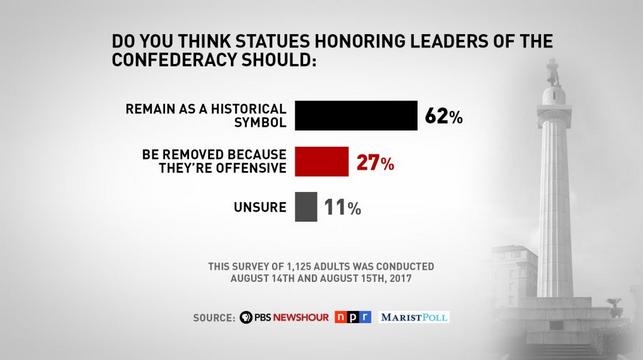 of 17.0! Find supporting direct quotes from Madison in Federalist #51 to answer the following questions. Answer the questions below in James Madison’s words, not your own. How should we guard against tyranny? 2) Write a rap, poem, or song about James Madison. You could write about his life, wife, presidency, constitution, beliefs, dance career, or any other aspect of his life. Need a little inspiration? Watch this rap about Alexander Hamilton from the amazing, Lin-Manuel Miranda. Get Inspired by these Student James Madison Raps!!! This policy of supplying, by opposite and rival interests, the defect of better motives, might be traced through the whole system of human affairs, private as well as public. We see it particularly displayed in all the subordinate distributions of power, where the constant aim is to divide and arrange the several offices in such a manner as that each may be a check on the other -- that the private interest of every individual may be a sentinel over the public rights. These inventions of prudence cannot be less requisite in the distribution of the supreme powers of the State. But it is not possible to give to each department an equal power of self-defense. In republican government, the legislative authority necessarily predominates. The remedy for this inconveniency is to divide the legislature into different branches; and to render them, by different modes of election and different principles of action, as little connected with each other as the nature of their common functions and their common dependence on the society will admit. It may even be necessary to guard against dangerous encroachments by still further precautions. As the weight of the legislative authority requires that it should be thus divided, the weakness of the executive may require, on the other hand, that it should be fortified. An absolute negative on the legislature appears, at first view, to be the natural defense with which the executive magistrate should be armed. But perhaps it would be neither altogether safe nor alone sufficient. On ordinary occasions it might not be exerted with the requisite firmness, and on extraordinary occasions it might be perfidiously abused. May not this defect of an absolute negative be supplied by some qualified connection between this weaker department and the weaker branch of the stronger department, by which the latter may be led to support the constitutional rights of the former, without being too much detached from the rights of its own department? If the principles on which these observations are founded be just, as I persuade myself they are, and they be applied as a criterion to the several State constitutions, and to the federal Constitution it will be found that if the latter does not perfectly correspond with them, the former are infinitely less able to bear such a test. There are, moreover, two considerations particularly applicable to the federal system of America, which place that system in a very interesting point of view. Second. It is of great importance in a republic not only to guard the society against the oppression of its rulers, but to guard one part of the society against the injustice of the other part. Different interests necessarily exist in different classes of citizens. If a majority be united by a common interest, the rights of the minority will be insecure. There are but two methods of providing against this evil: the one by creating a will in the community independent of the majority -- that is, of the society itself; the other, by comprehending in the society so many separate descriptions of citizens as will render an unjust combination of a majority of the whole very improbable, if not impracticable. The first method prevails in all governments possessing an hereditary or self-appointed authority. This, at best, is but a precarious security; because a power independent of the society may as well espouse the unjust views of the major, as the rightful interests of the minor party, and may possibly be turned against both parties. The second method will be exemplified in the federal republic of the United States. Whilst all authority in it will be derived from and dependent on the society, the society itself will be broken into so many parts, interests, and classes of citizens, that the rights of individuals, or of the minority, will be in little danger from interested combinations of the majority. In a free government the security for civil rights must be the same as that for religious rights. It consists in the one case in the multiplicity of interests, and in the other in the multiplicity of sects. The degree of security in both cases will depend on the number of interests and sects; and this may be presumed to depend on the extent of country and number of people comprehended under the same government. This view of the subject must particularly recommend a proper federal system to all the sincere and considerate friends of republican government, since it shows that in exact proportion as the territory of the Union may be formed into more circumscribed Confederacies, or States oppressive combinations of a majority will be facilitated: the best security, under the republican forms, for the rights of every class of citizens, will be diminished: and consequently the stability and independence of some member of the government, the only other security, must be proportionately increased. Justice is the end of government. It is the end of civil society. It ever has been and ever will be pursued until it be obtained, or until liberty be lost in the pursuit. In a society under the forms of which the stronger faction can readily unite and oppress the weaker, anarchy may as truly be said to reign as in a state of nature, where the weaker individual is not secured against the violence of the stronger; and as, in the latter state, even the stronger individuals are prompted, by the uncertainty of their condition, to submit to a government which may protect the weak as well as themselves; so, in the former state, will the more powerful factions or parties be gradnally induced, by a like motive, to wish for a government which will protect all parties, the weaker as well as the more powerful. It can be little doubted that if the State of Rhode Island was separated from the Confederacy and left to itself, the insecurity of rights under the popular form of government within such narrow limits would be displayed by such reiterated oppressions of factious majorities that some power altogether independent of the people would soon be called for by the voice of the very factions whose misrule had proved the necessity of it. In the extended republic of the United States, and among the great variety of interests, parties, and sects which it embraces, a coalition of a majority of the whole society could seldom take place on any other principles than those of justice and the general good; whilst there being thus less danger to a minor from the will of a major party, there must be less pretext, also, to provide for the security of the former, by introducing into the government a will not dependent on the latter, or, in other words, a will independent of the society itself. It is no less certain than it is important, notwithstanding the contrary opinions which have been entertained, that the larger the society, provided it lie within a practical sphere, the more duly capable it will be of self-government. And happily for the republican cause, the practicable sphere may be carried to a very great extent, by a judicious modification and mixture of the federal principle.